If you’re an Owner Operator or Fleet Manager, Shorepower TSE means lower fuel costs and reduced maintenance, not to mention quiet, clean air, and happier, better-rested drivers. 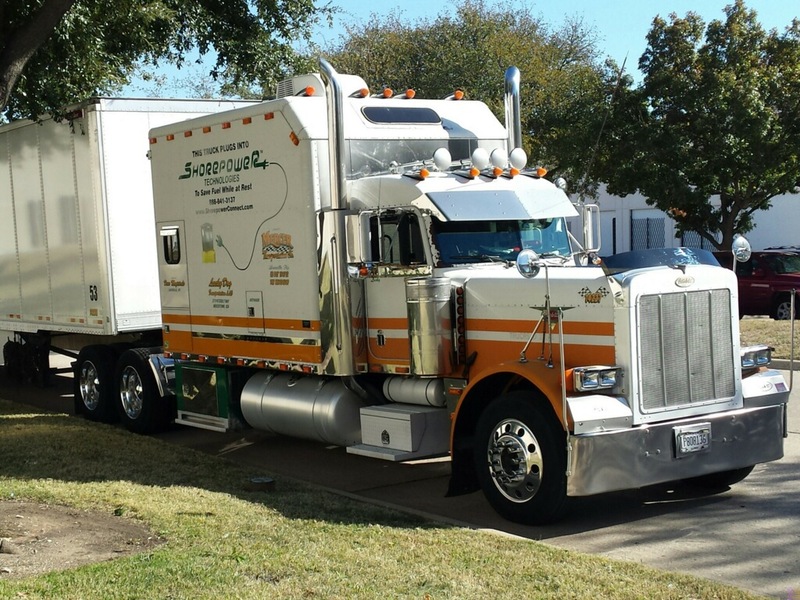 In order to maintain cab comfort, drivers usually idle their engines while parked at truck stops, rest areas, and travel plazas, yet idling uses additional fuel and increases maintenance costs. By using Shorepower TSE instead of idling, you and your drivers can save money. Review the savings calculations to see how much can be saved from using Shorepower. In simplest terms, you can save up to $3.00 per hour by using Shorepower instead of idling. And, unlike buying an APU or generator, Shorepower doesn’t require a large investment, ongoing maintenance, or battery replacements. 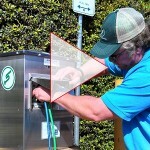 If your truck doesn’t already have an outside receptacle for electric power, you can install a connection kit. If your truck is already equipped for shorepowered electrical devices you can begin using Shorepower TSE for the price of a heavy-duty extension cord. These are usually available at a Shorepower travel plaza or online by going to our Store page. Are you interested in telling your fellow drivers about Shorepower? A driver parked next to you may ask about Shorepower if they see your truck plugged in and are curious. If you have used us before and want to share your experiences you can become a Shorepower Ambassador! 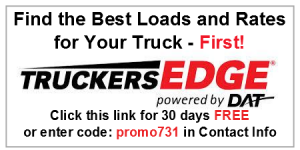 We would love to send you some of our brochures so you could share us with your fellow drivers! If you are interested, e-mail us and we will send you our Ambassador Kit. 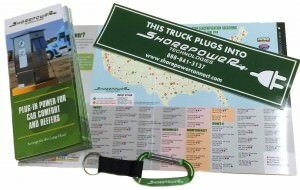 Sign up your truck or fleet with a Shorepower account. Copyright © 2019 Shorepower Technologies. Powered by WordPress. Theme: Spacious by ThemeGrill.